The back-up log of evidentiary items needing some kind of laboratory analysis is mind-boggling and extremely frustrating to investigators and victims alike. 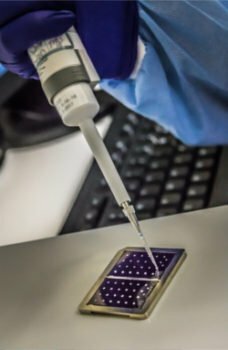 State and Federal laboratories are particularly burdened as public funds are always tight, and these services (considered secondary) are often some of the first to be cut. DNA identification is often the most powerful evidence for or against a criminal suspect. DNA Labs International works with agencies by discussing every submitted case, recommending the optimal analysis method for each item, and assisting police determine the best evidence to be worked. DNA Labs International is highly customer service oriented, treating each customer like a partner every step of the way to provide the most effective, results. The highly experienced work staff, and top of the line testing instruments provide the highest quality test results currently available in the industry. DNA Labs International fully understands the restrictions many agencies face, especially in financial resources availability. To counter this constant struggle, the company offers low industry pricing to all of our clients. They also have preferred client programs and initiatives to save agencies even more money over a longer term relationship. DNA Labs International works hard to provide submitting agencies with short turnaround times based on your expectations and needs, in fact, they have a “you name the date and we’ll give you results” philosophy! This includes a remarkable 48-hour turn-around on high-profile DNA cases. DNA Labs is fully accredited. One of the first concerns any law enforcement agency will have is the chain of custody, particularly in DNA cases that can solve some of the most horrendous crimes society suffers from. 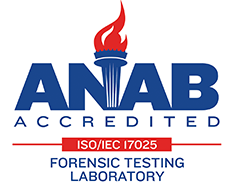 DNA Labs International is accredited by ANSI-ASQ National Accreditation Board (ANAB), the country’s longest established provider of ISO accreditation to Forensic Sciences testing laboratories in the U.S. The ANAB inspects U.S. laboratories for adherence to standards set by the International Organization for Standardization (ISO) and the DNA Advisory Board (established by the Director of the FBI). DNA Labs International is fully compliant with the accreditation standards and has already been recognized for professional, legal testing services by law enforcement agencies in Florida, and Texas. 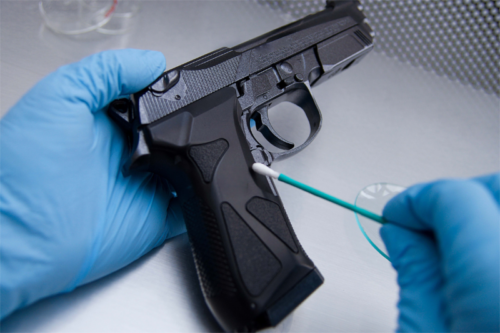 Confirming Felon in Possession (FIP) cases through DNA testing is just one service DNA Labs can provide. DNA Labs International is not only an isolated testing service, simply providing a test result on paper. DNA Labs staff are scientifically trained specialists who are not only qualified to perform the tests, they are professionally trained experts able to provide expert witness testimony in the event the need arises. Evidence from a single case may be submitted to DNA Labs International OR a State laboratory, but may not be submitted to both State and DNA Labs International for DNA testing. Federal DNA Quality Assurance Standards requires documented communication between an agency’s point of contact and State Law Enforcement prior to the start of any work conducted by the private laboratory if the resulting profiles are intended to be reviewed by the State Law Enforcement agency for possible upload to CODIS. When an agency submits evidence to DNA Labs International, the agency must provide all information about the case and evidence that is needed for the State Law Enforcement agency to accurately evaluate the eligibility of a resulting DNA profile for upload to CODIS. 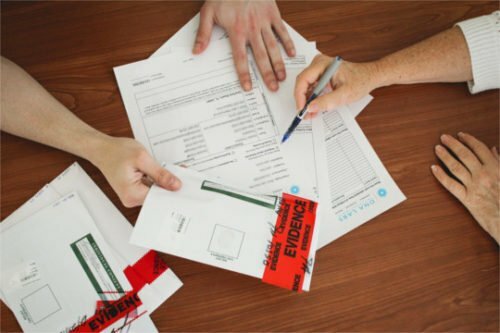 DNA Labs is prepared for evidence chain of custody, and expert testimony. CODIS is implemented as a distributed database with (3) hierarchical levels (local, state, and national). NDIS is the highest level in the CODIS hierarchy, and enables the laboratories participating in the CODIS Program to exchange and compare DNA profiles on a national level. DNA is required to be collected from felony arrestees in many States. DNA Labs can provide appropriate supplies. Many States now require DNA samples from offenders arrested for a felony offense. Upon conviction their DNA sample is entered into the CODIS system where their profile can be compared to thousands of previous suspect samples. Many serious crimes have been solved through this process, though often months or years later due to government lab back-log. Obviously the decision to use an outside vendor for any type of service will go straight to the Chief law enforcement officer, perhaps even to the governing agency above the Chief. However, many agencies don’t even realize there are options to State or Regional Crime Labs. Smaller agencies are the most vulnerable to not having enough funds to pay for expensive testing, and therefore relying on the backlog from larger agencies. Larger agencies have a greater potential for funding DNA testing, particularly on high-profile cases. By using an outside vendor like DNA Labs International, investigators can get results much quicker, arresting offenders much more efficiently than waiting on government-run labs. If some of the DNA cases get cleared through outside sources, than the whole system benefits with a reduced backlog. The 48-hour turn-around offered by DNA Labs is an amazing resource not offered by most industry partners, and one that cannot be understated. When a case hinges on DNA testing, and quick suspect apprehension is paramount, using DNA Labs International could be an outstanding resource. Quick arrests and prosecutions bolster confidence in police and the criminal justice system as a whole.